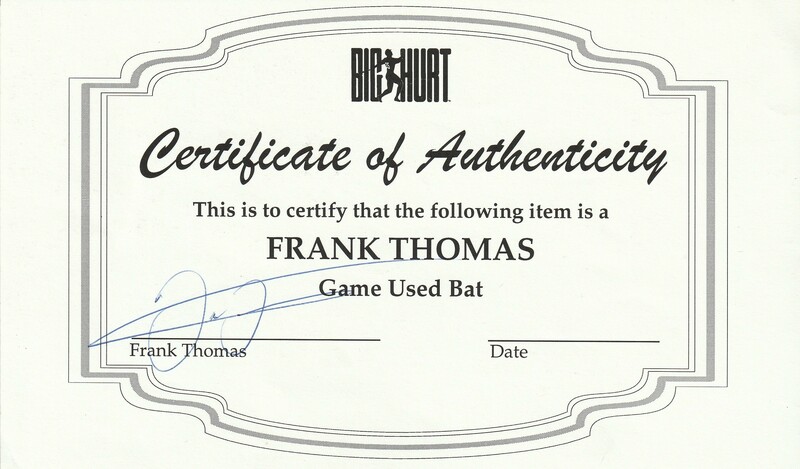 For the seventh consecutive season, Hall of Famer Frank Thomas capped off 1997 by finish in the top 10 in MVP voting. That year, Thomas won the American League batting title with a robust .347 average and matched his uniform number with 35 home runs. 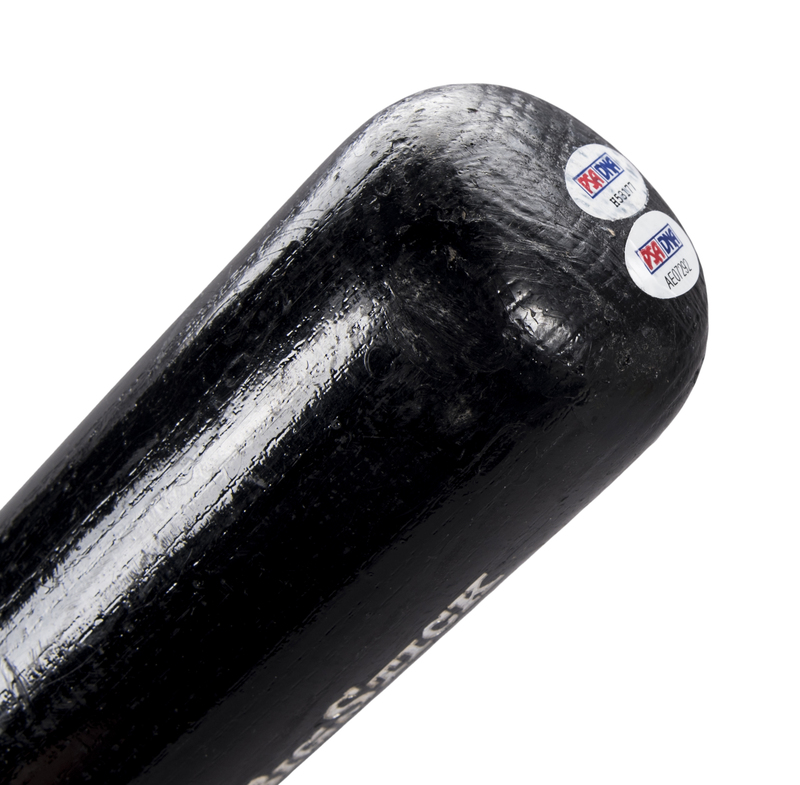 The Big Hurt’s Rawlings 576B model bat shows excellent use and has a crack on the handle. 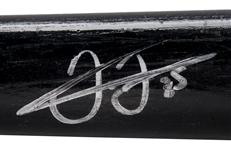 There are ball marks, stitch impressions, blue bat rack streaks and cleat imprints on the barrel. There is also an impression of a weighted donut, along with a light coating of pine tar on the handle. Stamped on the knob are “576B” and “121H”. 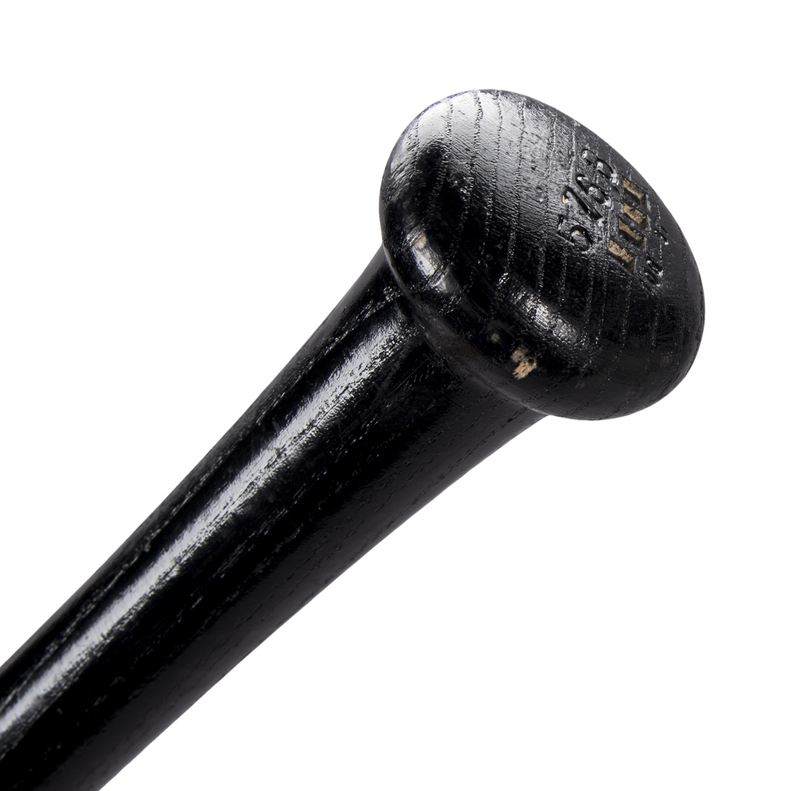 The small “121H” on the knob was applied by Hoosier Bat Co., who Thomas had used exclusively since the late 1990’s. 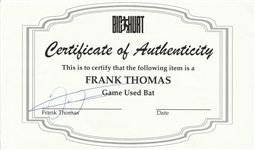 This bat was given to Hoosier by Thomas so the model could be duplicated. Thomas signed his name in silver marker on the barrel. A great gamer from The Big Hurt’s first and only batting title season. 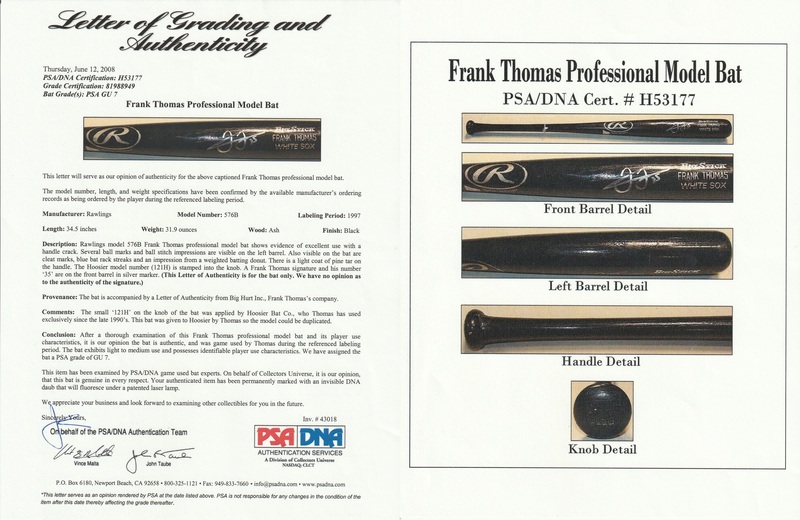 The bat comes with a LOA from PSA/DNA (H53177) for the game use and has been graded a GU 7. 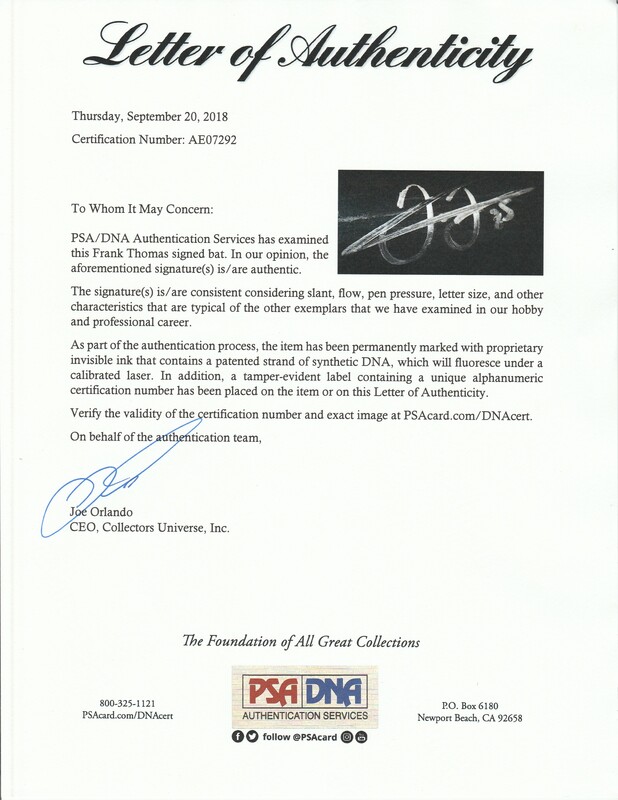 There is also a COA from Big Hurt for the game use and a LOA from PSA/DNA (AE07292) for the signature.